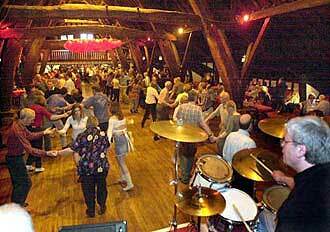 But - Just what is a Barn Dance ? Well ! Now this is a bit of a personal interpretation - not the dictionary definition exactly and someone else will tell you otherwise, of course !! 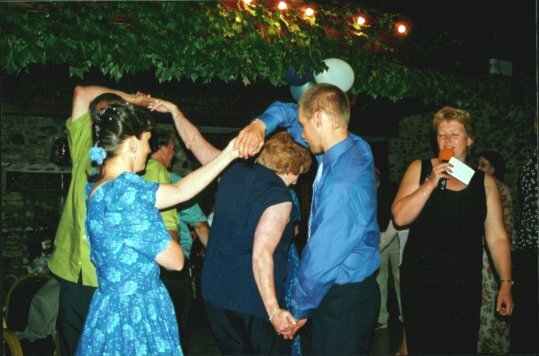 Barn dances/ceilidhs are pretty much the same sort of thing. 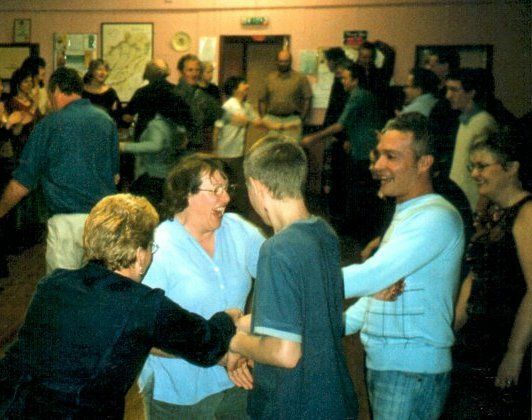 Ceilidhs are rooted in traditional country/folk dances - which can vary a bit depending on where you live in the British Isles - and, traditionally, involved some singing, story-telling and lots of natter (an' we could tell you some stories !). 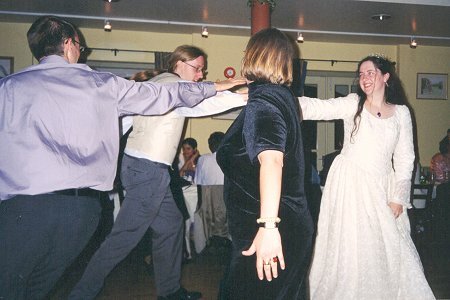 Actually, the word 'ceilidh' is gaelic for 'come-ye-all' - so now the secret's out !! As for 'barn dance', who knows (or cares) - sneaking feeling says the film 'Seven Brides for Seven Brothers' shares a part of the blame. That's US culture for you ! 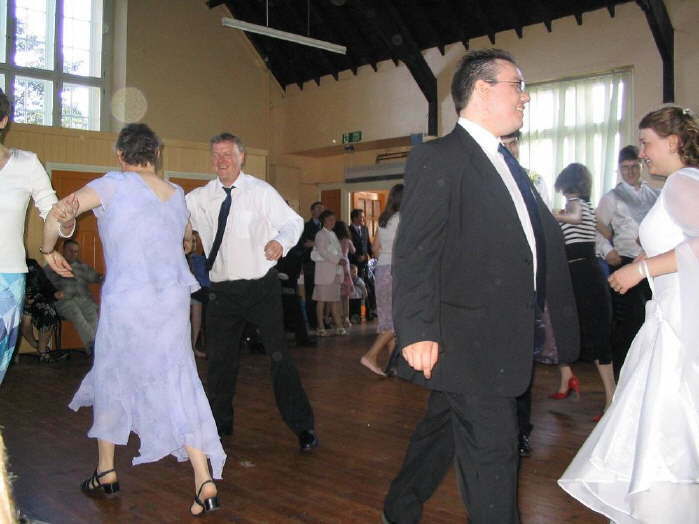 Anyway, as far as we're concerned, a barn dance or ceilidh are both events at which 'live', mostly traditional type, music is provided by musicians (the bands), with brief, but very simple instruction given just before and during the actual dance by the caller. The aim is partly to mix people up a bit (dancing with 'strangers' ? ), to get the blood circulating a bit and for those present to enjoy themselves a lot ! All the bands provide their own PA/sound equipment and some of them also perform the odd song or two, just to give people a bit of a rest from their exertions (having just watched the dancers getting everything 'wrong'). Most of this is covered in more detail in our tips for a great night. What we do not provide are outside bar and catering facilities. In time, we will post up suitable links covering others who offer these services, as well as links to venues which have impressed us. Meanwhile, do not be afraid to contact us to discuss any questions or offer any sensible ideas. We may even introduce an 'interactive' slot shortly.